A must do experience for every visitor to Sydney. 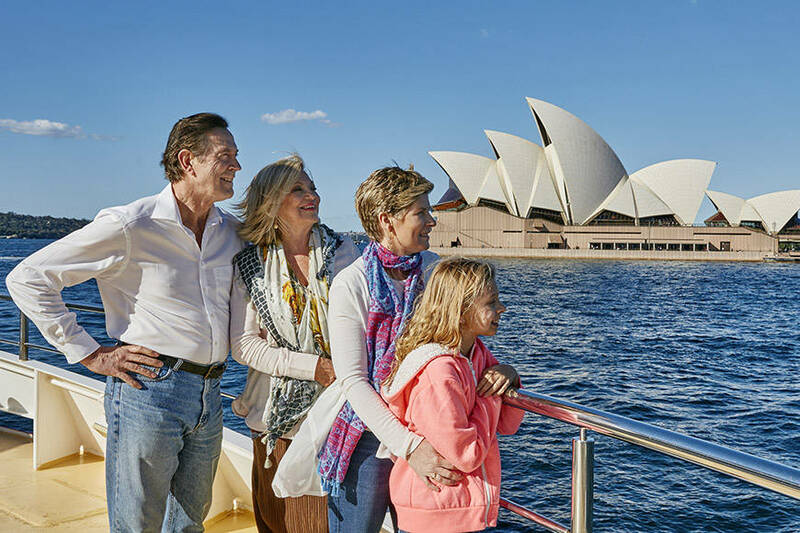 Discover the most beautiful harbour in the world on a sightseeing cruise that takes you leisurely into the most beautiful and fascinating coves of Sydney Harbour with commentary. 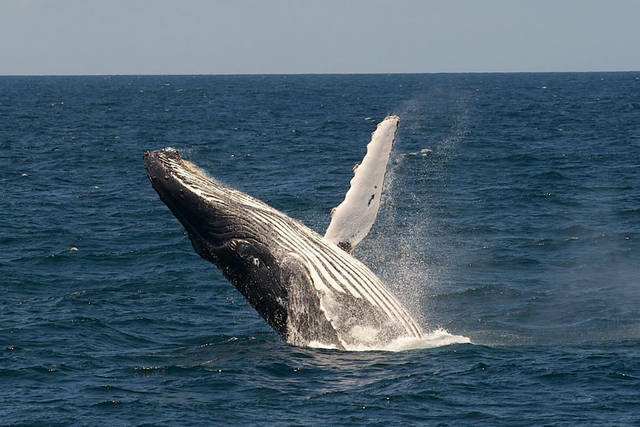 Cruise or sail, cocktails or afternoon tea, outer harbour whale watching or education cruises. All at great value prices. 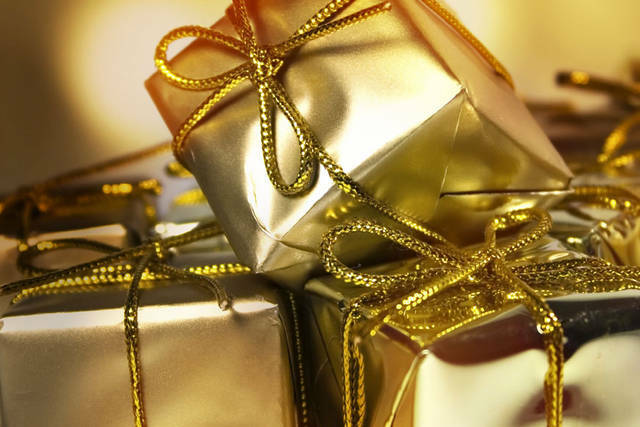 Cruises do not operate Christmas Day. Special or limited timetables operate on 26 & 31 December, 26 January and selected special events. Service: Sound quality of the commentary was very poor. Also the actual commentary was very poor, sounded like the guy was either a little tipsy or in fact suffering with a hangover. Whilst I did enjoy the actual cruise around the harbour, I was left disappointed with the commentary. Product: Purchase was easily done online with no problems whatsoever. Product: Great value. Wonderful guided tour. Terrible service, from ticketing we were sold adult tickets only to reach the cruise to find out that it was already leaving. I then got onboard credit and took a shorter cruise. No one knew how to use that credit onboard. There was milk in the fridge but the bar dude said there is no milk for tea when I went to buy tea. I said there is milk in the fridge behind you, and he just rolled his eyes and said go upstairs I will bring it....the lack of professionalism and service is mind boggling for such a know cruising name. Thank you for the review of your experience of your Cruise. As you know we do strive to deliver world best practice customer service from booking all the way through to the end product – so your review for this is very disappointing to receive. We always encourage guests to talk to the Cruise Director on board if they have any concerns, especially regarding food, drinks and service as they will be able to solve the problem immediately. Please be assured your concerns have been forwarded to our hospitality manager. Thank you once again for your feedback. Service: Excellent - from ease of booking online to the actual cruise. A very relaxing way to experience Sydney harbour with an enjoyable commentary and plenty of room on board to move around. Fun morning tea. Excellent introduction to Sydney for visiting friends. Product: No issues - easy to book on line and collect tickets on day of cruise. comprehensive instructions provided. Overall service and facilities were great. Commentary was also nice. Service: The service provided was amazing. Product: Was registered for a Premium cruise but couldn't reach there on time. They swapped my ticket with the Normal story cruise instead but provided me all the services and food which I registered for, for the premium version. It was a pretty good gesture. Service: Very good boat trip, interesting stories and good service. Service: All smooth and good and courteous service. Easy to book. Good vessel. Comfortable journey. Only disappointment was the commentary which was pitched to the American tour group, and not to the domestic audience. It was entertainment with a light scattering of information compared with your tours of previous years which were encyclopaedic by comparison. We found the jokes a bit tedious cf the wealth of good stories and history left untold. Product: All good service but the commentary was disappointing. Service: Arrived/departed in a timely manner, the vessel was clean and tidy, good service by staff and they were polite, great commentary by the lady and was very thoughtful in suggesting seats. Great pace in sightseeing allowing plenty of chances for photos. Had a great time thanks! Product: Arrived/departed in a timely manner, the vessel was clean and tidy, good service by staff and they were polite, great commentary by the lady and was very thoughtful in suggesting seats. Great pace in sightseeing allowing plenty of chances for photos. Had a great time thanks! Service: Great service and a beautiful vessel. My wife and I took the Premiym HarbourCruise at 2:15 on Mar 29th. Cruise itself was good. However, the female tour guide was very hard to hear especially when she lowered her voice throughout her presentation. Struggling to hear her took a lot of work (and often not successsful) and greatly diminished our enjoyment of the cruise. One of your staff members raised the volume a bit at my request but it only helped slightly. Thank you for the review of your experience of your Cruise. Our cruise offers live, personalised commentary providing insights from our highly experienced commentator. As you’re aware, finding the right balance between providing information, humour, interactions and volume can be difficult as each customer has tastes and preferences. However, please be assured your thoughts will be forwarded to our hospitality manager for review. Enjoyed ourselves. Commentary was excellent. Would definitely recommend this cruise to anyone. Service: The cruise and the ship are good. The narrator was considerably less informative than on previous cruises. His humor attempts got in the way of the information. And his comments were usually about what we had just passed, rather than what we, looking forward, were looking at. Product: Food and beverage were minimal, besides the bubbly. The "flat white" was a short balck with a little milk. Thank you for the review of your experience of your Cruise. Our cruise offers live, personalised commentary providing insights from our highly experienced commentator. As you’re aware, finding the right balance between providing information, humour and interactions can be difficult as each customer has tastes and preferences. However, please be assured your thoughts will be forwarded to our hospitality manager for review. We also offer customers the option to purchase a coffee made by a barista on board. This can be made to order and customised to your convenience. Staff were friendly, efficient and helpful. Service: While the price was fine, it would have helped if we knew we weren't allowed on the second or third deck of the boat. We went all the way up to get a seat with a view. I wanted to get something to drink and was told we couldn't be in on the third deck, so I went to the second deck and was told the same thing. So I had to climb down three flights of stairs and back up three flights of stairs, just to get something to drink. And the crew wasn't nice about it at all. I wouldn't recommend your harbor cruise to anyone. Product: I already stated- we weren't told that we weren't allowed on the second or third decks, so after going to the top of the boat (fourth deck), I had to go all the way to the bottom deck to fer a drink. Response from Captain Cook Cruises: Dear customer, Thank you for the review of your experience of your Cruise. When you are boarding an announcement is made of the available decks to your selected cruise. We apologise if this was not communicated clearly to you on this occasion. This ia a wonderful way to spend a couple of relaxing hours on Sydney Harbour, relaxing and seeing a lot of Sydney you wouldn't normally see. Product: A very good value cruise . We have been arranged to Table 191 and isolated with the rest of the guest. I have booked it to my friends from Melbourne , it was so embarrassing. The cruise is fantastic, all our guest enjoyed it very much! All round great experience. Staff helpful and polite. We had an American visitor with us and he was impressed by the knowledgeable presentation. Service: Very professional and friendly. Informative about Sydney Harbour. Perfect length for the tour. Got a sense of the history and current use of the area. Service: Very comfortable seating and pleasant staff. We did the 2hr premium Harbour cruise and had a lovely afternoon tea and sparkling wine on arrival on board. The P.A. system needs to be a bit louder as it was difficult to hear commentary at times. Service: The information given of Sydney harbour was excellent, we both enjoyed the company of other like minded people and the service from staff was great. Wendy especially enjoyed the cheese and biscuits washed down with the wine. Product: Most reasonable in what you got for your dollar. Service: The staff were very friendly and once you could gain their attention were more than happy to help in anyway. Unfortunately the staff were very focussed on serving meals that we were forgotten a lot of the time when we wanted a drink. It would be nice to be ‘checked on’ during the cruise for new drink orders as we felt as though we couldn’t go up to the bar to order. There was only one free drink option even though it was a cocktail cruise. The free drink should be a drink of choice from the cocktail menu. A bar menu on the table would also be helpful as we had no idea what drinks were available. Product: It was a lot of money for not much in return. The free choice of cocktail is just one drink option and the staff weee so busy serving dinner to their guests they forgot to check in us for new drinks. It’s much cheaper to get the manly ferry and buy a drink at their kiosk on board. Thank you for the review of your experience of your Cruise. Our aim is always to provide an extensive variety of options maintaining the highest standards of quality, so we are disappointed that you felt this was not the case on this occasion. Our menu is listed on our website and we always encourage customers to view this to understand the inclusions on their selected cruise. We always encourage guests to talk to the Cruise Director on board if they have any concerns, especially regarding food, drinks and service as they will be able to solve the problem immediately. Please be assured your concerns have been forwarded to our catering and hospitality manager. Nice greeting on boarding, lovely glass of champagne what a great beginning. My friends & I enjoyed the morning on the harbor , great commentary we learned a lot . I needed to change my reservation as a visitor from US was delayed. No problem. We had a relaxed afternoon with an excellent commentary. Everything was easy and comfortable from the on line booking to the boat, with very helpful staff to make sure things went smoothly. I recommend it completely. Service: Great trip with lots of interesting local color. Product: Great views of harbors and sites. Good way to spend a hoy Sydney afternoon. Service: Very welcoming - great cruise narrator. Product: Great value. Enjoyed the food box and beverages. The ride was smooth and the narration was entertaining and informative. Tour was excellent. But when I purchased tickets on line, I did not see that you could get a different ticket that provided champagne and a cake. Maybe that could be made clearer. Great tour of the harbor. Big boat...attentive bar-tenders...fantastic tour guide...and at 2 hours the perfect amount of time to see some Sydney's best sights from the water! Service: We all thought that it was excellent, the commentary was spot on and the views were stunning. Nice morning tea and welcome glass of sparkling wine. Altogether a very worth while trip. Lovely cruise and friendly staff! Great description of the harbour as we travelled in the afternoon premium cruise. Service: Form the minute we walked onboard we were treated with respect and care. The staff were friendly and helpful. The onboard hostess was brilliant with her knowledge of Sydney's history. A great job all round. Product: The onboard commentary was superb. The service was great. A great harbour cruise, with lovely morning refreshments. Well recommended. Service: Everything was very well organised and staff extremely friendly, made you feel welcome on board. Yes would recommend to friends and family. Certainly will be looking at other outings for ourselves. Product: Ordered on line and printed the said docs. However, there was no mention of having to go to the office at C.Q to pick up a boarding pass. Paperwork said to have copy of the email confirmation. Whilst we found this out from a fellow passenger whilst waiting for the boat, others had to rush up at the last minute to get theirs. Outside speakers were not working so people on the deck of the boat could not hear the guide. Thank you for the review of your experience of your Cruise. We always endeavour to ensure passengers are able to hear our commentary effectively on our vessels. However customers are encouraged to access all areas of the deck when cruising and when experiencing technical difficulties, are able to go to our inner decks to hear our experienced commentator. Service: Great boat with choice of seats so we had front window seats. We had priority boarding with a glass of champagne, cappuccino coffees and lovely cakes and snacks for morning tea. Good tour of the harbour. Staff were very friendly and helpful. Product: Very good. Comments as before. We were welcomed aboard by SARAH who delivered an excellent and friendly commentary and were well looked after by ? Aresh . My husband and I learn something different or new each time we are with Captain Cook cruises . Overall everything was enjoyable barring the rude ,talkative and loud AAT travellers unfortunately sitting nearby. My friends who took the cruise on the Monday were also delighted I had informed them of the cruise . Service: The crew were very good. The English/ Australian guide was excellent. The food and drinks were also very good. Comprehensive scan of the various Sydney waterfronts. Informative narrative throughout the cruise. Had to move to a location that had better acoustics - in part because of noisy neighbours and in part because of the PA system. Service: Absolutely loved the engaging storytelling! We enjoyed it so much, that we will definitely be bringing the kids next time! Product: With whats included definitely worth the price! Service: The Sydney Harbour story cruise was great, full of information past and present, presented well and appropriate for all ages. The staff were lovely, kind and considerate. I would be happy to take the cruise again and hopefully bring friends and relatives next time. Product: The trip had a special price for Seniors to celebrate the 2019 Seniors Festival. The reduced price was very good value for money. The personnel experience was excellent from the person selling the tickets in the booth to the staff on the boat. The stories and feedback given during the cruise was informative and interesting. I would recommend the experience. Service: Excellent staff. Great service on board and a very interesting commentary which focused on the history of the harbour. Previous cruises have concentrated on tourist sites most of which are self evident. EG: We don't need to be told "that is the Opera House". Thank you for the review of your experience of your Cruise. Our Harbour Story Premium cruise differs from our standard Harbour Story Cruise by including afternoon tea including a mixed sweet & savoury selection, Vittoria coffee or a selection of fine teas and a glass of sparkling wine. We apologise if this wasn’t to your standards on this occasion. The lady who did the commentary was fabulous. We really enjoyed ourselves. Can highly recommend! Product: Would have been better if it was slightly later to see sunset! Service: The cruise and staff very nice, lunch light on!! Very interesting & informative, friendly crew. Product: I have already been to this exact cruise once before and left a 5 mark rating. It is the perfect length - long enough to see many important Harbour Highlights, and short enough not to get boring. This time I am giving 4 just because of the speakers on the upper deck, that sometimes were not functioning perfectly (we had to go ask the crew to put the volume up a couple times, because we could not hear the audio). Apart from that, again an amazing experience. Service: Absolutely wonderful - very courteous and helpful. The morning tea served was sensational. A most enjoyable morning spent with Captain Cook Cruises. Service: It was a lovely day and my group enjoyed the cruise on the bay very much but all eight of us were dismayed about the quality of the food on offer. We were expecting freshly baked scones, sandwiches or some other quality snack instead we were offer awful and unhealthy food inside a carton box!!. We were ashamed on behalf of the tourists on the boat and starved instead of eating the rubbish. Thank you for the review of your experience of your Cruise. Our pricing is subject to availability and as per our terms and conditions, our pricing can fluctuate at our discretion. Our cruise offers live, personalised commentary providing insights from our highly experienced commentator. As you’re aware, finding the right balance between providing information, humour and interactions can be difficult as each customer has tastes and preferences, so we’re pleased that you enjoyed this aspect of your cruise. Very nice and interesting trip with a knowledgeable and friendly guide. I would recommend the tour (I chose the premium variation) to anyone. I think it’s a must do, to get a better understanding about history and the impressive dimensions of the harbor. Service: From beginning to end, it was a most enjoyable experience for two Senior Citizens, both religious Sisters. Enthusiasm was high as we awaited the opening of the gate to board the vessel. The staff were friendly and welcoming, anticipating our needs. The commentary was clearly spoken, and gave great insights of our harbour with past and present history of places and of people. The afternoon tea was delightfully presented in the shape of a gift which contained delicious treats from savoury to sweet. The staff here were also so helpful in carrying our teas and coffees to our table to prevent one or the other of us falling. It really was a most enjoyable experience. Thank you for the organizing of this event. Product: The voyage was good value for money. Product: Relaxing!it is wonderful time! Service: Great commentary. Thanks Elizabeth. A great start to a Monday. Sparkling wine ,coffee and nibbles. All served with a smile. Vessel on time and a wonderful tour of Sydney's iconic harbour. Only thing that could have been improved was the windows should have been cleaned, but that could have been a result of the weather. Excellent we had a great day and the afternoon tea package was great. Staff are amazing. They are smiling throughout the cruise. Feels home with Captain Cruise. Product: Easy to do online.....than telephone because I’m deaf so it was straightforward. Thank you for the review of your experience of your Cruise. We apologise you felt that our premium additions weren’t communicated effectively on your cruise. We can assure you that this may have been breakdown in process on the day not a genuine lack of care for our guests. We always encourage guests to talk to the Cruise Director on board if they have any concerns. Not sure the premium supplement was worth it for 1 glass of fizz and some little cakes. Thank you for the review of your experience of your Cruise. We have reviewed your cruise booking history, however there is no indication of any additional packages that you state. You paid our Captains Special of $99 per person, with a total of $198. We apologise for any miscommunication that may have led you to believe you had an extra package. Service: Really easy to book. Great value for money. Fantastic experience from the moment we boarded until we stepped back off the boat. The running commentary throughout the cruise was informative and funny. Staff are friendly & helpful. Product: Great value for money. Easy to navigate around the website & purchase tickets. Service: Excellent.The narration was very good.The snack was a bit too sweet/sugary. The service with coffee and welcome champagne was friendly and fun. Product: Beautiful cruise, several views of the Opera House. Narrator was very good, pointed out many interesting land marks. The drinks and food was good. Service: The commentary and Sydney history were delivered in a wonderfully relaxed, humorous and informative style. Product: The cruise vessel was clean, comfortable with a dedicated crew complement. It mad an ordinary day into one to remember. Our guide was articulate and knowledgeable. She was open to any questions. The tour was thorough. The ship was clean and stable. The cakes were tasty and the drinks plentiful. Great value. Service: It was ok..It was my birthday & I had a free voucher..but i was given the wrong ticket so I didn't get the up grade & I also bought a ticket for my friend & I paid $45 for it which I assume is the higher ticket....he wasn't given the upgrade either.But no one on board seemed to know the procedure for birthday cruises so I found it extremely embarrassing not just for me but for my friend.It soured the day for us. Thank you for the review of your experience of your Cruise. Our Birthday cruise offers a free Harbour Story Cruise. Customers have the option to upgrade this to our Harbour Story Premium option for $10. We also offer both our Harbour Story, and Harbour Story Premium cruises to purchase. We always encourage customers to pay attention to the cruise that they are booking to ensure their expected inclusions are met. Service: The ship was nice and well appointed. The commentary was excellent. Product: We learned a lot about Sydney, its history and its suburbs. The guide was fantastic and the tour really covered all the highlights of the city! A great, informative tour. The detailed live narrative unfortunately could not be heard at the back of the open deck. And I think 90 minutes is plenty for the tour. Two hours seemed a bit long. Overall experience was good but I was expecting better service in the dining area. Service: Staff are very accommodating and friendly. Service: A fabulous cruise of Sydney Harbour with great commentary and fabulous ammenities onboard. A value packed 2 hour tour. Product: Great value packed 2 hour harbour cruise. Service: The cruise was an amazing experience, overall the staff were really friendly and informative. I was able to learn a lot about Sydney's harbor and history while also enjoying a warm cup of tea/coffee and biscuits with my family. The two hour sightseeing tour cruise was filled with interesting stories from our tour guide and whether it was looking out at the attractions or just simply gazing into the view, there was never a dull moment. Product: The cruise was an amazing experience, overall the staff were really friendly and informative. I was able to learn a lot about Sydney's harbor and history while also enjoying a warm cup of tea/coffee and biscuits with my family. The two hour sightseeing tour cruise was filled with interesting stories from our tour guide and whether it was looking out at the attractions or just simply gazing into the view, there was never a dull moment. Sehr schöne Cocktail Hafeneinfahrt in Sydney. Service: Great service and good communication. Product: It was great! The commentary was good and tea and coffee service was good too. A few more options in biscuits or savory snacks would've been better. Bad experience. No commentary and staff not friendly. Thank you for the review of your experience of your Cruise. Our Cocktail Cruise doesn’t provide commentary, as this would interfere with the ambience provided. We offer a variety of cruises that include commentary such as the Seafood Buffet Lunch Cruise, Harbour Story Cruise and Harbour Highlights Cruise. We can assure you that our staff are trained to provide our customers devoted and efficient service. We always encourage guests to talk to the Cruise Director on board if they have any concerns, especially regarding food, drinks and service as they will be able to solve the problem immediately. Please be assured your concerns have been forwarded to our hospitality manager. Service: I booked online. The chat feature was helpful with questions. Product: This was a very enjoyable cruise. Not overcrowded and the cruise guide was very knowledgeable, friendly and helpful. We covered a great amount of the harbour including middle harbour which was beautiful. Highly recommended for anyone wanting to see Sydney Harbour in all its glory. Service: This is such a great boat ride for anybody who is visiting Sydney for the first time or just hasn't been out on the harbor. Its priced very affordably and provides 2 hours of beautiful views, interesting history, a roof top or an indoor seating area and alcoholic drinks while you cruise. I'm convinced the only people who didn't like it couldn't get past the initial scramble of getting on the boat. On a warm day no one wants to feel like they are stuck in bad seats but the boat is HUGE. We were nearly 100+ people back in line and got seats no problem. But when everyone is lined up and hot it can feel a bit like a black friday getting into the store vibe. Would definitely recommend for a great and well priced experience. Service: We enjoyed the little extra attention of being allowed to board first..Glass of wine waiting for us. Staff were excellent. Product: Easy to book what you want on line. I had booked for a Harbor story premium cruise. The ticket counter asked me to join the line at gate A1, which I did. However, the cruise left without me. On enquiry, the staff said that it wasn't their mistake. There was no coordination between the ticket counter and the staff that board the customers. No display or information indicating the gate for the cruises. I have very poor experience and was not very happy. Thank you for the review of your experience of your Cruise. Our departure location for a customer’s cruise is listed on our website, as well as booking confirmation email. We also encourage customers to contact our reservations staff if they are unsure of the departure location or time of their cruise. Nice commentary and safe operation. Good service. Boarding was disorganised. Passengers who have purchased premium tickets should be directed to the upper deck. We had to go upstairs to get our champagne. Fortunately I was served by Julie who kindly brought the champagne down to us on tray. As we were on the lower deck we did not have the choice of cappuccino, lattes, etc. Also, I’m sure the info on the website referred to a plated afternoon tea - not in a box. The sound quality of the cruise commentary was very poor on the lower deck. Thank you for the review of your experience of your Cruise. All passengers on our Harbour Story Cruises are welcome to travel anywhere on the vessel they wish. Our Harbour Story Premium PM cruise differs from our standard Harbour Story PM Cruise by including afternoon tea including a mixed sweet & savoury selection, Vittoria coffee or a selection of fine teas and a glass of sparkling wine. We hope that this clarifies the slight price discrepancy. An informative and excellent tour. I would recommend to others. Great way to see and learn about Sydney. The audio was hard to hear/sound not great above noise of boat unless you were inside. Website could’ve been a bit easier to navigate too. Service: A comprehensive tour of the harbour covering the major attractions. However our 'guide' on that cruise could use a little more respect for the paying passengers. Although she announced she would appreciate people sitting close to her not speaking whilst she was commentating, she positioned herself on a seat, from which she did not move for the entire cruise, very close to my overseas guests who had already taken their seats prior to the 'guide'. My guests did not have a good grasp of English and needed translation but the guide, quite rudely, asked them to be quiet. I would have thought she would realise her commentary was being translated and would reposition herself further away. Instead, she caused some embarrassment to my guests ( 9 in total ) and lowered what should have been a wonderful experience for my first time visitors to Sydney. Product: Refer previous comments - the 'guide' let us down with her disrespect. Thank you for the review of your experience of your Cruise. We can assure you that our staff are trained to provide our customers devoted and efficient service. Our staff deal with a variety of nationalities and are trained to deal with a variety of different people and cultures. We apologise for the inconvenience and any embarrassment caused, this was certainly not our intention. Service: Your Cruise on the Harbour has been consistently good for years. I either recommend it to people or take them on it. I've done several over the years. The last time we went under the Spit Bridge, however I think maybe the new vessel is too high to do under the Bridge, shame, but still good that you include Balmoral. Product: All straight forward and easy to book online. The audio was not very clear when out on deck so could not hear all the commentary. I asked several times if they could turn it up however nothing improved. Thank you for the review of your experience of your Cruise. As you’re aware, finding the right balance can be difficult as each customer has tastes and preferences. However, please be assured your thoughts will be forwarded to our entertainment manager for review. Commentary was excellent. Lots of interesting stories about the area. Easy to listen to and did not sound like a history lesson. Service: The onboard narration was excellent. Product: The onboard narration was excellent! Loved the tour and the very intelligent (and funny) tour guide! One of the highlights of my trip to Australia. Service: Either if you are in Sidney for a day, or for a longer time, this cruise is really ideal to explore the city and its landmarks from a special point of view and to get a peek of the ocean! The commentary includes interesting historical info and charming anecdotes. We loved it! Product: Easy to complete. Great special offers with online purchase! The trip was great; only improvement might be to add some seats on the upper deck. Service: Fantastic cruise, Great service. Thank you so much! Product: Purchased it on-line. Easy to use. As we often do, we took our overseas visitors on the "coffee cruise". Everything was great - as usual - with one exception. The lack of outdoor seating. The vessel we sailed on had very limited outdoor seating which rather forced us inside. On a fine Sydney day, this was disappointiung. Service: The quality of the selection of high tea was quite poor honestly. Otherwise the tour was fine. Product: I got good discount using Entertainment Book. Thank you for the review of your experience of your Cruise. We use high quality, premium teas on our High Tea Cruise and is always served at the optimal temperature for brewing and infusion of flavour; with a hot refill always available on request. We apologise if this wasn’t to your standards on this occasion. Snacks werent much should be a little more. Fantastic experience.... Nice commentary along the way. Ja, intressant att höra om områdena kring Sydney.Båten modern och ren.wc mycket snygg o ren.för lite sittplatser på däck är orsaken till att inte ger 5stjärnor. Beautiful boat and very comfortable. Great host guide, made the cruise interesting and fun. Exactly the right amount of time allocated. Very friendly tour guide, very engaging. She had a lot of knowledge. Very informative cruise. Amazing views. My family from overseas fell in love with Sydney. Service: The Captain was a fabulous tour guide, his constant enthusiasm and energy were infectious and he never ceased to entertain. This mini cruise was worth every cent. Product: The Captain was a wonderful tour guide, very entertaining and informative with plenty of cheeky humour. We had the best time and it was worth every cent! Very interesting Premium Harbour Cruise lasting 2 hours. Excellent commentary from a knowledgeable lady. Only criticism was quality of afternoon tea supply, 3 cakes and small cheese & biscuits for 2 people? Great cruise on an amazing harbour! Service: Excellent Service and Cruise. Product: Wonderful experience with the cruise. Our overseas guests loved the commentary and the comfort of the boat as well as the beautiful scenery of Sydney Harbour. Some sunscreen might have been helpful to have on board. We miss the trip we booked, due to traffic we arrived at wharf No,6 ,20 minutes late .The girls at Captain Cook service desk was very nice she understand and offer us the afternoon cruise for free . 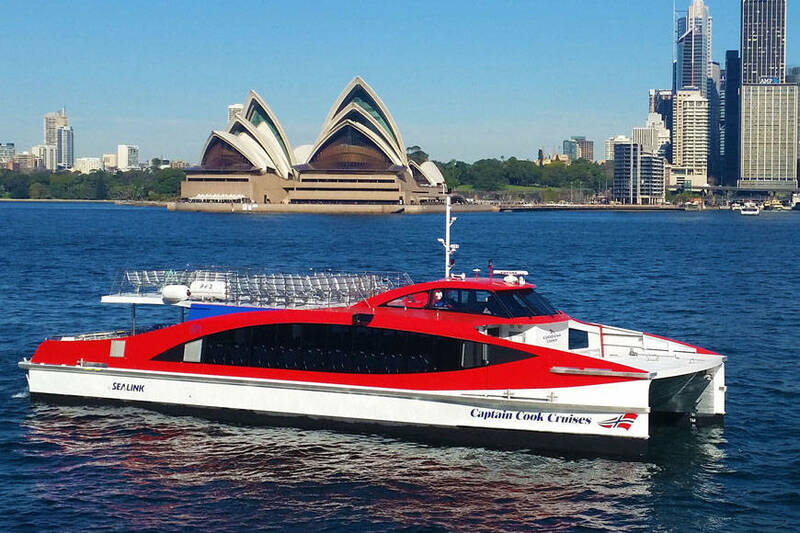 On board, we so impressed with the knowledge the MC given to passenger in regarding the history of Sydney harbor , also the snack and drinks served onboard .The boarding facility provide by the the gangway person was quick , efficient and safely for passenger . Forget to mention the vessel is world class, very clean wash room ,seating on board is very comfort and flexible . As usual, the harbour was magnificent but the boat was untidy and looked like it had been used for a large party the night before with little attempt to clean up and re-position the furniture. The windows were dirty and just to top it off the commentary was benign and demeaning....at a few points I thought I was back in kindergarten being spoken to by the teacher. Would recommend any tourist to use one of the competitive companies for s Sydney harbour cruise. Thank you for the review of your experience of your Cruise. We can assure you that our vessels are always cleaned before every cruise. Our windows are cleaned thoroughly and regularly, however the salt water can sometimes make the windows appear otherwise. Our cruise offers live, personalised commentary providing insights from our highly experienced commentator. As you’re aware, finding the right balance between providing information, humour and interactions can be difficult as each customer has tastes and preferences. However, please be assured your thoughts will be forwarded to our hospitality manager for review. Fantastic afternoon on the harbour. It could not have been better! What a great platform to view the most beautiful harbour in the world. Great experience! Myself and my Father and Step Mother ( who is in a wheel chair) came on your Harbour Story cruise as per the booking email below. This is the first time I have ever complained about anything but I feel the need to say something this time as the experience was extremely disappointing. My Step Mother needed to use the bathroom prior to getting on the boat. She wanted to use the Accessible toilet located near Wharf 6. When she got there it was locked so she asked the people at the ticket office for access. They said she would need to go and get the key from an office at Wharf 5 ( I think it was) When she got there it was extremely busy with people waiting for service. She finally got the key and came back to the toilet. If the boat had not been late she would have missed it. I was not there to assist her as she wanted me to wait for the boat and try to delay it so she was on her own and extremely flustered. This was very upsetting for her . On the boat it was again very disappointing. I have been on several harbour cruises and enjoyed them. This one was not enjoyable. The commentator at first seemed very informative but once we passed garden island there was very little information. There were long gaps where she disappeared and at one point even asked us to guess what we were seeing. 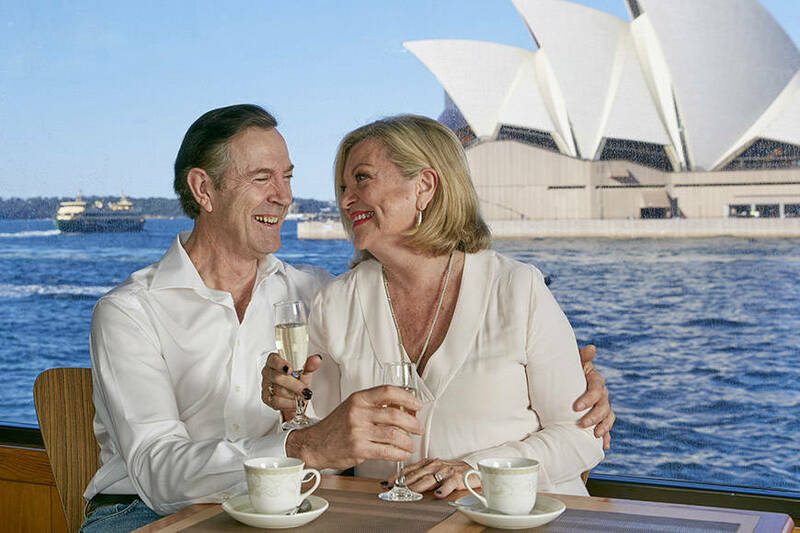 I understand that there are different styles of commentating but as I have heard a few I am aware that there is usually far more information given and this is a large part of why I take visitors to Sydney on one of your cruises. We have already corresponded via email, however thank you for the review of your experience of your Cruise. We can assure you we have taken the necessary steps to address the issues you have raised regarding the Check-in process, commentary and snack boxes. Thank you for the great feedback on the coffee. We certainly regret that we did not meet your expectations and appreciate the opportunity you have given us to improve. We are pleased to note that you were offered a complimentary Harbour Story Cruise to ensure that your standards were met for future cruises. Service: The arrangement with Captain Cook proceeded as planned. Product: We have no idea what to expect but we are happy with our purchase. Great harbour cruise with very informative commentary. Loved it. The tour was informational and covered and big portion of Sydney Harbour including history, fun facts, and stories. The weather was good on the day of tour, therefore most of the participants gathered on the deck for photos, would be even better if the speaker on the deck is louder so we could have heard the guide over the strong wind. Love the way that the captain purposely stopped the vessel when there was a good view of the opera house. Service: Loved the cruise! From being me t at the gate by guide/narrator Paul to the end, it was an enjoyable experience. Highly recommend doing this first when in Sydney to get a feel of where you may want to further explore! Product: A-One! Easy online purchase and a discount to boot! Service: Very nice way to see Sydney. The tour has commentary also there is a live person on board to answer your questions. Good experience. The commentator on our Harbour story cruise was very informative and the cookies were delicious. Service: Our group of 5 adults thoroughly enjoyed the Harbour Story PM Cruise that we took on November 2, 2018. We enjoyed the commentary given by the cruise director and felt like it was informative as well as entertaining. Would recommend this cruise to others. Product: Easy to purcahse tickets on-line and pick up at the dock. Boarding the ship was well organized. Plenty of seating aboard with views for all. Product: A tour guide was wonderful. However we shouldn’t except a variety of cakes or fruit for morning tea. Crackers and cheese are okay, but Mini cupcakes are all in a box and bit dry. Thank you for the review of your experience of your Harbour Story Cruise. Our Harbour Story Premium PM cruise differs from our standard Harbour Story PM Cruise by including afternoon tea including a mixed sweet & savoury selection, Vittoria coffee or a selection of fine teas and a glass of sparkling wine. We hope that this clarifies the inclusions. We apologise if you felt this wasn’t to your standards. Please be assured we have forwarded your comments onto our catering manager. Service: The service is good but i think it's a bit expensive. Product: I was given discount for group booking but no senior rate. It's a bit expensive for pensioners. Thank you for the review of your experience of your Harbour Story Cruise. 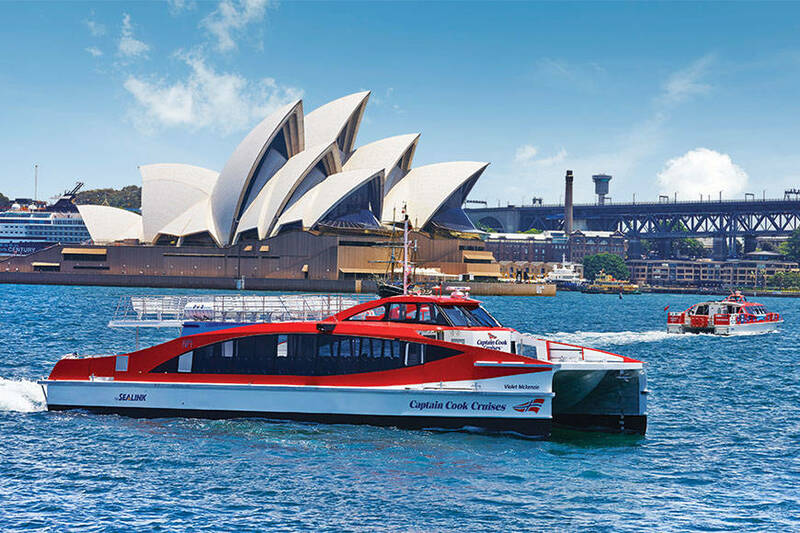 We believe our pricing to be equal to any harbour cruise in Sydney. As you know we do strive to deliver world best practice customer service from booking all the way through to the end product – so your review for this is very satisfying to receive. Your comments are very much appreciated by all our hospitality and catering staff and a copy of your email has been forwarded onto their department managers. We are sure they will value the positive feedback too. One FANTASTIC experience from beginning to end - our UK visitors were most impressed. Enjoyed the commentary - most informative. This two hour cruise is satisfying and pleasant. The boat is spacious with all of the shelter and open space anyone could need, and the narration adds a lot to the trip. The route is interesting. The price is appropriate, and the complementary snacks and coffee, along with other drinks apparently for purchase, are plenty to keep one alive and happy for two hours. 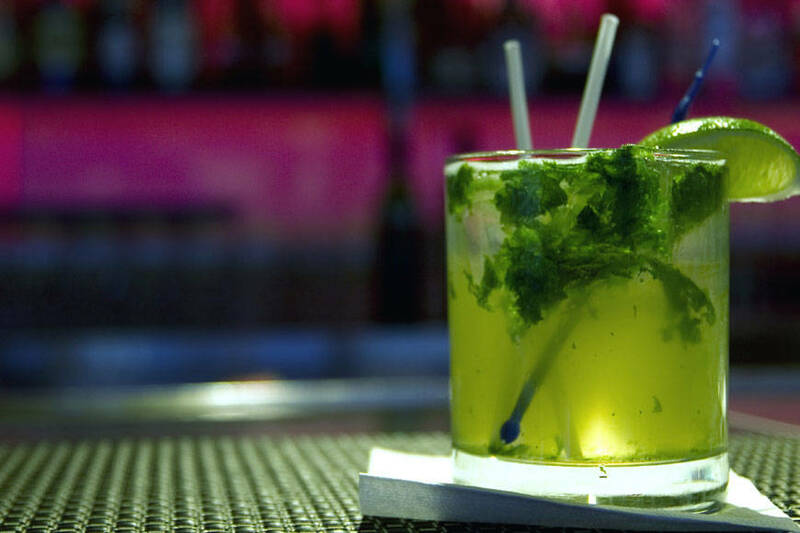 1) provide clear signage near the bar clarifying what is available for free and/or for a fee at the bar. A menu. It's clarified on the website, but not on board. One can just ask, of course. 2) wash the boat's exterior windows more often. Fantastic 2hours touring around beautiful Sydney harbour. We took our son and his girlfriend who both live in the and the UK on the VIP morning tour. A lovely commentary that offered a great insight into not only the history of the area but how Sydneysiders live. The morning tea was diverse and tasty, our welcome on board bubbles was a lovely treat as well. most memorable...it was also up close and personal to the Icon Sydney Harbour Bridge and Opera House. Quite magnificent! Upon arrival we were greeted by one of the hostess and promptly seated and served with our free cocktail. We were in Sydney to celebrate our daughters 18th birthday and were treated with a birthday surprise which was lovely. Beautiful views throughout the harbour. We had a great tour of the Sydney Harbor. The weather was fantastic and the guide was very knowledgeable about the area. This tour is a great way to experience Sydney from the water. Fantastic cruise route and great commentary along the way! The narrative information was interesting and the crew was courteous. We really enjoyed our sightseeing cruise. The two hour trip around the harbor was beautiful. Our guide was very informative and our guide did a great job! Service: Excellent cruise, entertaining and informative commentary. Would recommend. Product: Excellent cruise. Would recommend. The cruise was absolutely beautiful and very informative. The host was very good. The only issue we had was we bought the premium package and when we got the cakes and cheese and crackers they were frozen and very unpleasant to eat. For paying for premium package you would think the food would be not frozen. But all in all the cruise was very pleasant. Service: Nice way to see Perth while relaxing. Good commentary. A Captain Cook Cruise on Swan River is A must for all visitors to Perth !! Service: First time on this cruise, a friend had recommended to us. Had a great experience, the tour guide was so entertaining and full of information about Sydney and its history. Will be highly recommending this to friends. Product: First time on this cruise, a friend had recommended to us. Had a great experience, the tour guide was so entertaining and full of information about Sydney and its history. Entertaining and informative commentary. Refreshments weresatisfactory considering the numbers on board. Loved the diversion into Middle Harbour. The cruise was very good value for money - we had the premium package which included a glass of pro secco and afternoon tea. The commentary was informative and the vessel was comfortable and well equipped. A good way of seeing the harbour area and gaining some knowledge of the history and sights. They made us feel welcomed. The premium tea in a box wasn’t very nice. The cakes were stodgy. Service: I took two visiting friends from overseas and my first time to avail of Captain Cruises services and very satisfied with the services. The staff are very friendly, approachable and professional. Great narration by the tour guide and excellent overview of the history of the harbor and the city of Sydney. I had a special time!! Service: The commentary provided interesting knowledge and history. We covered a fair area of the harbour. The delux afternoon tea was only provided on request. Maybe more information on boarding would have been helpful. Product: Was especially happy with the discounted price. More information required on boarding as to where and what was included. Had an excellent time. Saw lots and was very affordable. Would highly recommend. Service: Excellent cruise for all ages; lovely stroll around the harbour with informative information & lots of treats. Highly recommended ! Product: Excellent ! Lovely stroll around the harbour, and very informative. Great value for money. Recommended for all ages. Love the extra treats ! Very much enjoyed our trip around the harbour; Paul was good and informative. The lady that presented the narrative was very knowledgeable and a good public speaker. Service: Excellent! Everything was organized to perfection, from start to finish and everything in between. The crew were very friendly and attentive, dining room staff were excellent and the chef catered to our difficult food intolerances. Shore excursions were memorable, and on-ship activities were entertaining. Thoroughly enjoyed cruising with Carnival. Service: We really enjoyed our recent cruise with Captain Cook Cruises. The staff were very friendly and the commentator gave out excellent information as we cruised around the harbour. Perfect way to spend a afternoon. Service: Loved the commentary and info about Sydney Harbour, learned quite a lot. Friendly staff. Service: The cruise was good, apart from the guide was a bit hard to hear, he wasn't speaking clearly and some of his opinions were personal to him, not about the harbour in general, also the morning tea was disappointing, to be given 4 little boxes each with 3 cakes and some crackers & cheese, when it looks on your website like it would be sandwiches & cake displayed on a two tier cake stand. Thank you for your review of your Harbour Story Cruise. Our cruise offers live, personalised commentary providing insights from our highly experienced commentator. As you’re aware, finding the right balance between providing information, humour and interactions can be difficult as each customer has tastes and preferences. However, please be assured your thoughts will be forwarded to our hospitality manager for review. Our Harbour Story Premium PM cruise differs from our standard Harbour Story PM Cruise by including afternoon tea including a mixed sweet & savoury selection, Vittoria coffee or a selection of fine teas and a glass of sparkling wine. This is reflected on our website. We also operate a High Tea Cruise which includes the items you have mentioned. Once again, thank you for your review. but the departure wasn't on time and no explanation to the queuing people. Brendan(?) was excellent. Very clear spoken and the right amount of information. The only minor issues were that as a non-coffee/tea drinker I was only offered water as soft drinks were chargeable and the only biscuits on offer were coconut flavour, which neither of us like. A choice would have been nice. Service: Overall good service with a very good guide/commentator. I thought the price was high for a two hour trip, especially when there is a large family involved. Product: On-line purchase went smoothly. Service: The cruise itinerary was fine. However, I was informed by my host that some of the narrative was Ill-timed at best and inaccurate at worst. Additionally, half way through the cruise, part of the crew was apparently preparing to set up for dinner (we were seated inside on the main deck). The continual clattering of flatware made the balance of the narrative entirely inaudible. Product: Itinerary was fine. Narrative was at some points either ill-timed or actually inaccurate. Half way through the cruise, part of the crew was apparently preparing for the later (sunset?/dinner?) cruise. (We were seated on the inside on the main deck) The continual clattering of flatware made the balance of the narrative entirely inaudible. Thank you for your review of your Harbour Highlights Cruise experience. Our GPS commentary is used to provide a general insight into the history and fun facts of the harbour. This is set at a volume so as to not interrupt or be obtrusive to the conversations and ambience of fellow passengers, whilst still at an appropriate volume for customers to listen to at their leisure. If customers prefer a live, personalised and interactive commentary, we provide live commentary on our Harbour Story cruises. We apologise that you felt the staff had a negative impact on the ambience on your cruise. Please be assured that your comments have been forwarded to our hospitality manager for review. Service: I enjoyed all the options they provided for excursions. The only thing I didn’t like was the food. Product: All was great except the food. Loved the scuba diver who took pictures. Amazing tour with amazing views! Our relatives from Italy absolutely loved it as did we. Everything in this cruise was great: the views, the food and the crew. The only thing I would change is the sound of the guide's microphone. It was too quiet and sometimes impossible to listen properly. Service: The tour and the commentary were great, the weather was not great at first but it cleared up. The mediocre weather contributed to most of the boat being empty and that was also good. It was a good trip, not too long, not too short. Product: I thought it was well worth it. Service: My daughter Kristie and I really enjoyed the “Harbour Story “ Cruise !! It was a picture perfect day as we cruised past Opera House,Harbour Bridge, Garden Island and Luna Park . Commentary was excellent as we were told of different events and stories !! A great day on our beautiful harbour! Product: Service excellent! We had premium cruise with wine , savoury and sweet snacks and coffee which we enjoyed. Staff friendly and helpful !! Bought a premium cruise with snacks and drinks. Boat was broken. Got sent on a smaller boat with no food or drinks. Premium passengers were the last ones on since it wasn't our boat. There were few outside seats and I ended up standing. Was told it was the same price. The cruise was nice - but it wasn't what I paid for. Thank you for your review of your Harbour Story Premium experience. We apologise that you felt that this cruise wasn’t to your standards. Unfortunately, mechanical errors outside of our control may happen, however we always aim to have a suitable replacement to ensure customers can enjoy their cruise. Our Harbour Story Premium cruise differs from our standard Harbour Story Cruise by including afternoon tea including a mixed sweet & savoury selection, Vittoria coffee or a selection of fine teas and a glass of sparkling wine. We hope that this clarifies the difference between the cruises. Service: I couldn't say anything bad. I thought the value for money was very high. The tea cakes were lovely, the champers & coffee was just fine, the tour was of the advertised length, the boat seemed to be piloted very well and safely, and the tour guide on the loudspeaker knew heaps and heaps about Sydney. Also, I don't think I saw one child, which was pure bonus. Product: Rewrite your questionnaire so it doesn't require this much freaking effort. You have ****** me off now. Great relaxing cruise around the harbour with interesting facts about history of the harbour and its surrounds. Service: Really enjoyed the cruise, commentary and on-board service, facilities and experience. A great way to see Sydney! Thank you for your recent review of your Cruise. We can assure you that our staff are trained to provide our customers devoted and efficient service. Our staff were following our policy, which clearly states that we have a 100% cancellation policy for this cruise. However, as an act of empathy we are pleased to see that you were offered to have your tickets re-issued for a subsequent date. Loved the pacing of the cruise with the live commentary on the various landmarks around the harbor woven with Australian history. Most importantly loved the drinks and dessert that came with the premium tickets!!!! Overall the cruise is relaxing and informative. However, the temperature is too high inside. Four of us all felt uncomfortable. Thank you for your review of your Harbour Story experience. We are happy to read that you enjoyed the cruise. We believe it is the best and most informative way to experience the Sydney harbour. If customers feel that the temperature is not to their liking indoors, we also offer an upper deck which is outdoors. We also encourage customers to talk to the Cruise Director as he/she can address the issue immediately. Great and informative two hour tour of the harbour. The vessel was very clean and modern. Would recommend this tour and Captain Cook Cruises to others. Service: The staff were friendly and went out of their way to make sure we knew where we were going. Highly recommend. 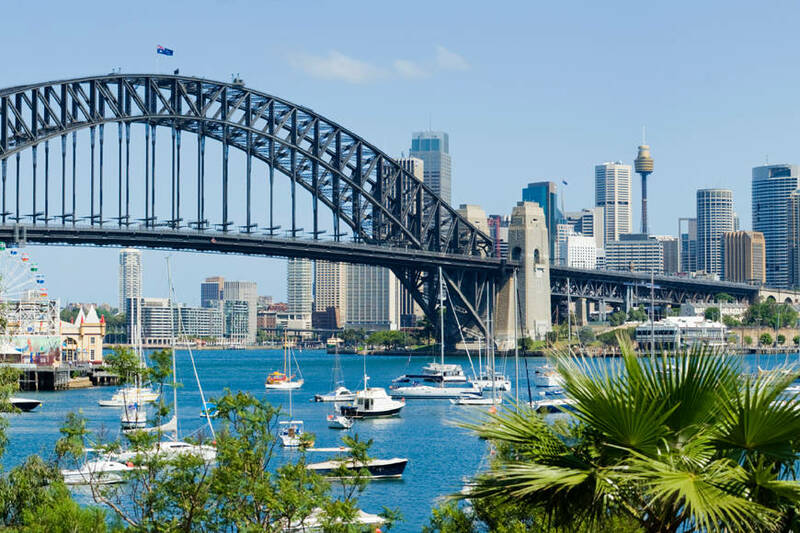 Product: We did this cruise because a friend from overseas wanted to see the main attractions of the Sydney harbour. This cruise was perfect for that purpose! Service: Thank you for take care my group. Product: Easy to book, easy to make payment. So convenient. Informed commentary to compliment a leisurely cruise with plenty of room om board. Buona esperienza, guida (solo in inglese) simpatica, competente ed esauriente nelle descrizioni dei luoghi e nelle informazioni. Navigazione tranquilla ma completa, un bel tour completo della baia. We enjoyed our recent 2 hour afternoon cruise. Our commentator was very informative with his narration. This is my second time on Captain Cook Cruises and will we doing another one with friends in a few weeks. The staff were friendly and welcoming the lady on the mic who was giving the history and the information about the harbor did a great job she was fun and informative. You could sip wine on the inner deck and take in the full feeling of the sights on the outer top deck. Afternoon tea was served it was a wonderful way to spend the afternoon. Thank you for your review of your Harbour Story Experience. We also offer our Harbour Story Premium Cruises, which include afternoon tea including a mixed sweet & savoury selection, Vittoria coffee or a selection of fine teas and a glass of sparkling wine. Service: Harbour cruise was good, quite informative. Nice boat. Perhaps a glass of wine/beer/cheese platter could be included with the price though.. I wouldnt pay $45 again for it. But it was a nice way to see the harbour. Product: For the price I think a glass of wine/beer/light snack could be included. Thank you for your review of your Harbour Story experience. 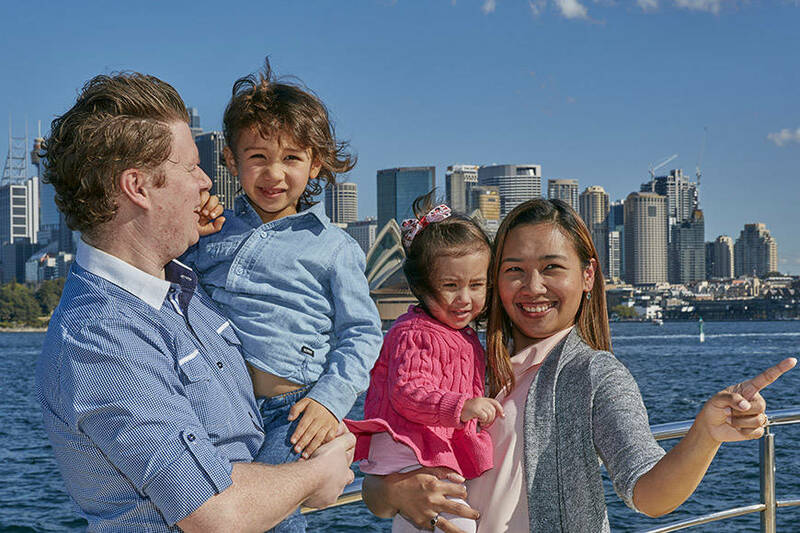 We believe that our Harbour Story cruise is one of the best ways to experience the Sydney Harbour and we are glad to read that you enjoyed it and found it informative. We also offer our Harbour Story Premium Cruises, which include afternoon tea including a mixed sweet & savoury selection, Vittoria coffee or a selection of fine teas and a glass of sparkling wine. We took the two hour captain cook cruise hosted by, my apologies, as I cannot recall her name, english/lived Australia most of her life, ex teacher who was welcoming, knowledgeable, fun with a good sense of humour and frankly a great asset to your business! Product: The afternoon tea was yum!! I would recommend this for others as the service was amazing and the experience was even better. The whole experience was fantastic. The commentary was excellent and really interesting. The staff in all sections were extremely helpful and fun and the Cruise route made for wonderdul photo opportunities. All in all will be a great highlight of our Sydney visit. Service: Very good, well worth the money. First cruise I have been on that goes into middle harbour as well. Service: The service is always of the highest standard - crew on board friendly and helpful and the food and drink service is excellent. Product: Great value! All the Captain Cook Cruise products are fantastic! Our tour guide was topnotch! Very knowledgeable on history of Sydney as well as lots of interesting information about the areas around the harbour. Really enjoyed the two hours. Service: We booked cocktail's only on the cruise. The staff was great, Good service, Drinks were Delicious. Enjoyed the view of the coast and the harbor. It could have been better if more people were there for the cocktail cruise everyone else was on a dinner cruise. We would recommend the cruise. Product: It was worth the money, I would have paid a little more to get two drinks each instead of only one. The cost of a second drinks was too high. It was excellent. The only problem I had was with the ticket office, I paid for premium and the person gave me the normal tickets. We took the PM story of the harbour tour. The issuing of boarding pass is quick and the narrator was great! History of the harbour, interesting facts and other bits and pieces made the trip wonderful for the family. The bridge and the opera house looks great in the setting sun when we return. Service: Room, comfy boat with awesome tour commentary. Product: Roomy, comfy boat with great views through large windows. Fantastic commentary by enthusiastic and friendly staff. The premium 2hr cruise around Sydney harbour was fantastic. Our host, Elizabeth, was brilliant - fantastic commentary. Save up to 35% on Cruise Vouchers. No crowds, no queuing, vouchers emailed instantly. Buy online now! 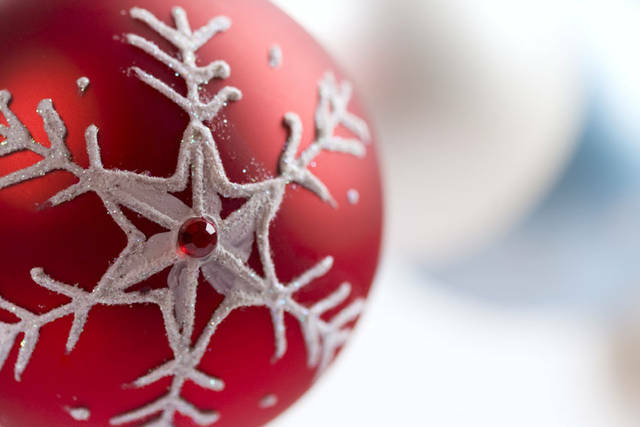 Join our family for Christmas Day Lunch onboard flagship MV Sydney 2000. Tickets on sale now.